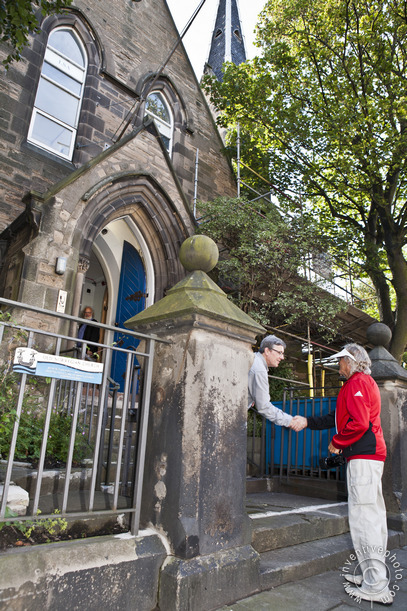 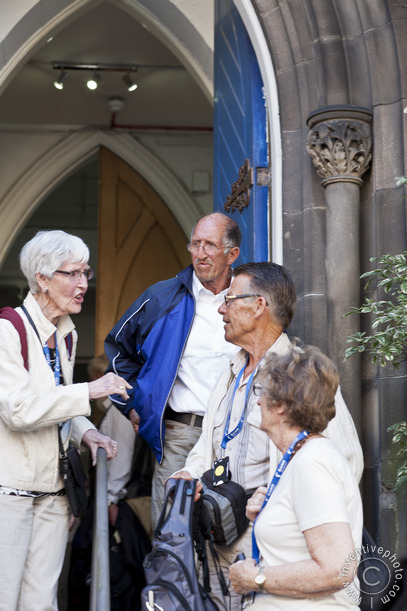 As part of the 150 year Jubilee Cruise of the Norwegian Seamans Mission, The Foundation Organised a visit for all cruise guests to the place where it all started - the first chuch of the Norwegian Seamen,s Mission in Edinburghs port of Leith, Scotland. 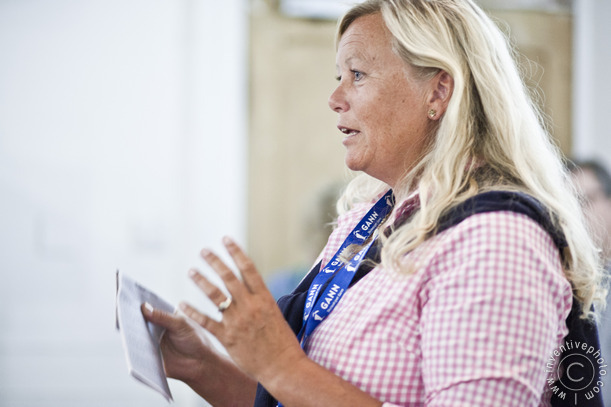 The foundation was represented by its Chairperson, Mrs. Lisbeth Iversen, who also serves as ambassador for the Norwegian Seamens Mission Jubilee, and by Mr. Terje Inderhaug. 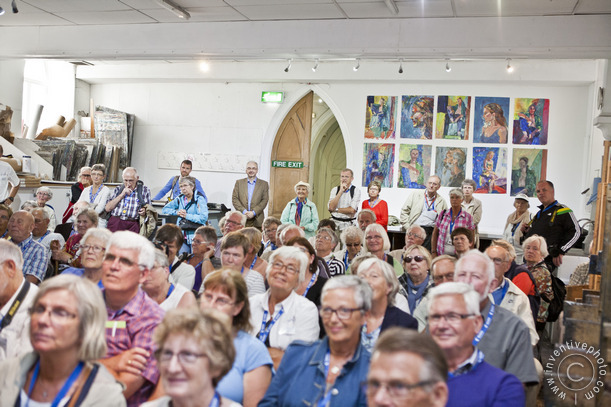 A discourse on the history of the church and the scandinavian contingent in Scotland was given by Mrs. Iversen and Mr. Inderhaug. 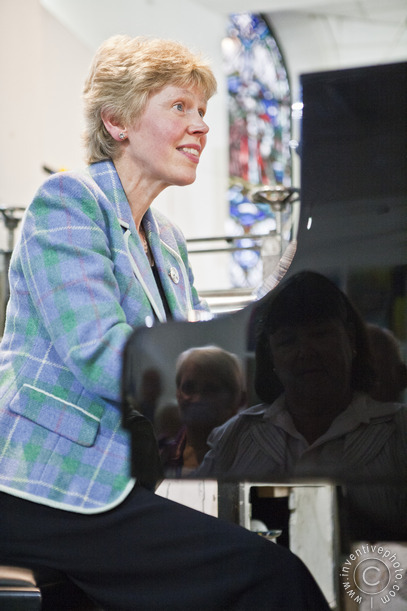 A vocal contribution was given by accomplished singer and researcher of Norwegian-Scottish music, Dr Sally Garden, one of The Foundations' supporters.